It takes a special person to be a nurse. 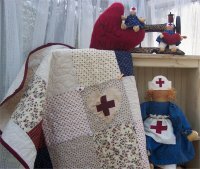 Whether it’s your child’s school nurse, a nurse who takes care of a loved one, or a friend or relative who has a nurse’s career, I hope my handmade nurse gifts will find them comfort, and let them know how much they are appreciated. 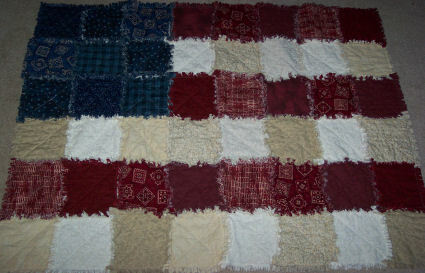 All of my nurse gifts are made with 100% cotton fabric and made one at time by little ole’ me. The dolls can be made in tan or black skin color. 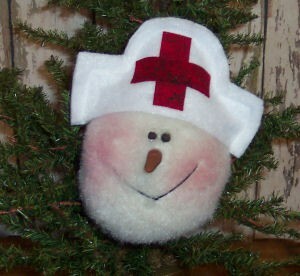 This adorable 7″ handmade nurse tree ornament is made from soft tea-stained fur-felt. 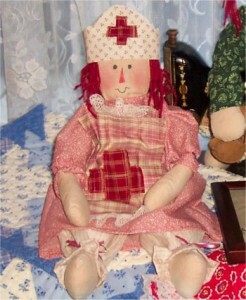 She has a carrot nose which has been molded and baked, rosy cheeks, a stitched mouth, and peppercorn eyes. She is wearing a nurses hat. The perfect gift for that special nurse. 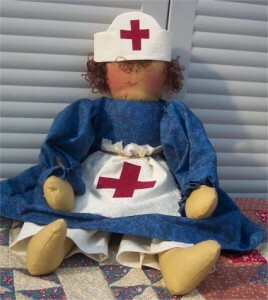 This adorable 18″ handmade muslin nurse doll is wearing cream color bloomers, a country blue dress, a nurses apron, and a nurse’s hat. She has an adorable face, and autumn brown hair.